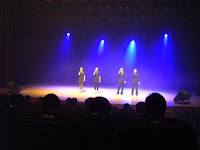 a cappella behind the scenes: Good News from the 2009 Chuncheon A Cappella Festival! 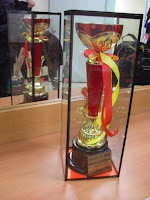 Good News from the 2009 Chuncheon A Cappella Festival! Good News! Our vocal quartet (Sharon, Kenix, Ernest and GIlbert) has just won 3 awards (Golden Harmony, Best Vocal, and Best Arrangement) at "The 3rd Asian Youth A Cappella Singing Competition" of the "2009 Chuncheon A Cappella Festival" in South Korea! Congratulations!